Life is the greatest gift we could have ever received. With a gorgeous world filled with amazing travelling destinations, there is always something new and special to discover. Spring Break in Central Europe, Eastern Europe or Southeastern Europe is perfect if you are passionate about trips, adventures and interesting locations. Have you added Eastern Europe to your wish list of places to visit? There are great regions you can visit there and have so much fun on the road with your friends and family. Given the fact that the spring break is just around the corner, now is the perfect moment to start planning a new trip to Eastern Europe. Let’s see where you can go and what you can do there during your holidays. 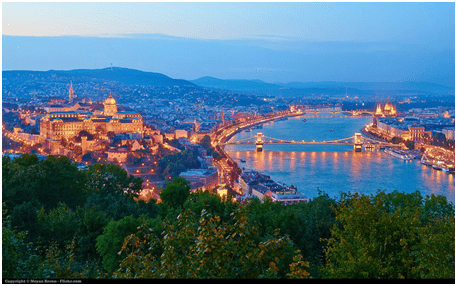 One of the greatest cities in Central Europe comes from Hungary and it is its capital, Budapest. This is also the largest city in the European region. It was ranked as the 7th idyllic location where everyone would like to live by specialists from Forbes. It also received another great nominalization from UCitGuides, namely that of being the most beautiful city in the world. The special character of this unique and beautiful city might come from the merge of features characterizing two old cities: Pest and Buda. The World Heritage Sites in this city will offer you a wide range of amazing things to discover during your trip. You cannot go to Budapest and not see the Buda Castle Quarter, the Banks of Danube, the Millennium Underground Railway or the Heroes Square. Your adventure in Northern Europe should continue with a trip filled with relaxation and adrenaline in Druskininkai, Lithuania. This location is a charming one for tourists in love with modern spa and health resort services. You can benefit from natural treatments there and recharge your batteries in no time. Spring is that time of the ear when nature seems to be brought back to life. The same way nature gets blooming this time of year, we also need to change our mood and reconnect with ourselves during the spring break. This location from Europe can become your favorite relaxing hub if you are looking to experience the perfect retreat. 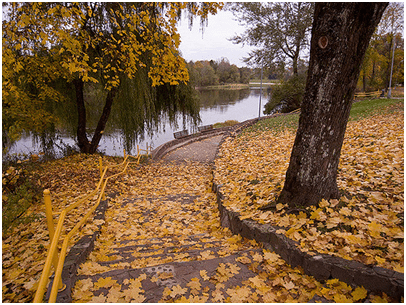 Just outside Druskininkai you can also visit the Grutas Park. You will be able to admire extraordinary monuments from the communist era there. Seeing them in their pedestal will be like receiving a real-life history lesson that you will never forget. 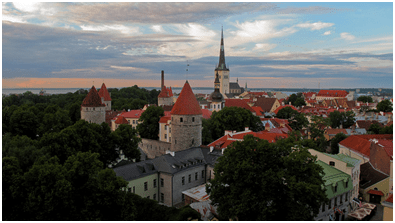 Your adventure in Europe could continue with a short or long trip to Tallinn, Estonia. You will be amazed to discover the medieval features of this amazing region. The cutting-edge traits come in perfect combination with traditional elements that turn this city into something special. You will love to engage in a lovely tour of the ancient church spires and be amazed by the imposing shiny skyscrapers in the city. You can also offer yourself a few moments of pure relaxation in the best, cozy wine cellars of Estonia. Taste the wine and you will take a little part of Europe back home with you in your mind and heart. You can also have your fair share of active experiences there. You can go biking every day or spend quality time in forests and on exotic beaches. Ljubljana is one of the most beautiful towns in Slovenia and through Europe. It is well nested in a gorgeous alpine valley that will take your breath away through gorgeous scenery and landscapes. This town is a picture-perfect location for spring holidays. It features cobbled streets on which you will be amazed to discover more bicycles and young people than anywhere else in the world. The Old Town has something special to share with travelers due to its outdoorsy atmosphere. Moreover, you can also engage in cultural activities there by visiting some of the greatest museums and galleries they have. You will like to see the baroque townhouses as well because these also share an important history story. The churches feature a special architecture that will remind you of the reasons why Eastern Europe is one of the most historic places across the globe. You cannot understand the real European Lifestyle until you go to Split, Croatia. This is one of the most vibrant and cool cities in the area. The main attraction in the city is the gorgeous Diocletian’s Palace. This is a roman fortress that is part of real history. This is both a tourist attraction and an important part of the Town Centre. For a real Croatian experience, you can choose to visit Split by travelling on a yacht during amazing tours that are organized there every year. Finally, these great towns of Europe are great destinations to consider for your spring break trip. Moreover, you can choose one of the above-mentioned locations or enjoy visiting other destinations and engage in the best Russia holidays this year.